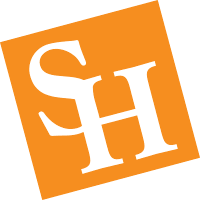 For more than 137 years, Sam Houston State University has been preparing students for meaningful lives of achievement. Its motto, “The Measure of a Life is its Service,” echoes across campus and beyond through student research, creative endeavors, service learning, volunteering and more. Bocskor, a specialist in women’s political leadership, fundraising and non-profits, will be hosted by the LEAP Center to speak to several political science classes, provide workshops to community groups and engage in small-group meetings on campus with young women. This report looks at graduation rates for Latino students and the completion or graduation rate gap between Latino and white students at four-year colleges and universities across the country. The analysis focuses on 613 public and nonprofit private nonspecialized institutions. In the spirit of the season, the Department of Student Activities fostered the gift of giving to the Sam Houston State University community by hosting their annual canned food drive benefitting the Good Shepard Mission of Huntsville at the Tree of Light Ceremony on Nov. 28. When the media plea from the Coast Guard came for help from anyone with boats, Adam Lee from Wisconsin and Justin Bloyer from Minnesota headed to Port Arthur. Lee, a Security Studies graduate student at Sam Houston State University, joined a family friend who drove down to help. Members of the Sam Houston State University community kicked off the Go Green campaign with a special event at the Piney Woods Residence Life facility. The campaign is designed to promote efficient energy use. Students are encouraged to save energy across campus through simple acts. In the spirit of giving, departments across Sam Houston State University are hosting events and programs in order to encourage those on campus to give back to the community. One of the programs is The Tree of Hope sponsored by the Department of Leadership Initiatives. On Twitter, thousands of people are #TalkingAboutIt — speaking as openly about mental health as we do physical health. Created to help diminish the social stigmas attached with mental illness, the hashtag has generated a powerful online community. Dedicated to providing opportunities to students who otherwise may not have a chance to earn a baccalaureate degree, the Smith-Hutson Scholarship Program is targeted toward individuals with demonstrated financial need and academic potential. Sam Houston State University offers several opportunities for people in the community to interact through various art projects, programs, and summer camps including Animation Creation, Art On The Edge, and Art Educators' Summer Studio Intensive. In the SHSU Center For Youth And Family Studies lab, we examine emerging psychopathology in adolescents, with a particular focus on how social systems interact with vulnerability for psychopathology. SHSU's Bearkat Service Break program (BSB) places teams of students in communities to engage in service and experiential learning during weekends throughout the fall and spring semester as well as during spring break. Dr. Martin Luther King Jr. devoted his life to advancing equality, social justice, and opportunity for all. He once said, "Life's most persistent and urgent question is: 'What are you doing for others?'". The Volunteer Opportunities Fair aims to connect Huntsville and surrounding area community organizations with SHSU students. Representatives from various agencies are invited to campus each semester to provide information about their organization. Welcome to the Bearkat Community Gardens! Everything that we do here, we do because we care about you and the community. And we have a passion for helping people, helping the environment, and strive to make a difference in the world. It is a Thursday afternoon at Kate Barr Ross Park in Huntsville. Children are running around the park as a neck-and-neck game of kickball is in its final inning. The swings move back and forth as the sun shines bright in the sky, but the sun is not the only thing shining.